Kim Kadashian was on the red carpet for the launch of her fragrance at The London Hotel in West Hollywood when a woman threw a bag of flour at her. Freedom of expression abi? 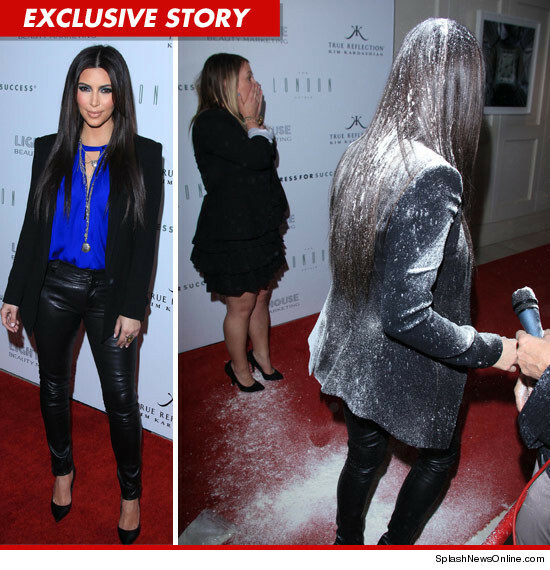 Atleast now we know how she feels about Kim K!